I have known Carrie since 8th grade (we are both Maine-iacs and went to school together). She started Oh, She Dabbles not too long ago, and I have been totally blog stalking her for the last couple months. I am kinda sorta obsessed with her blog! Enjoy! 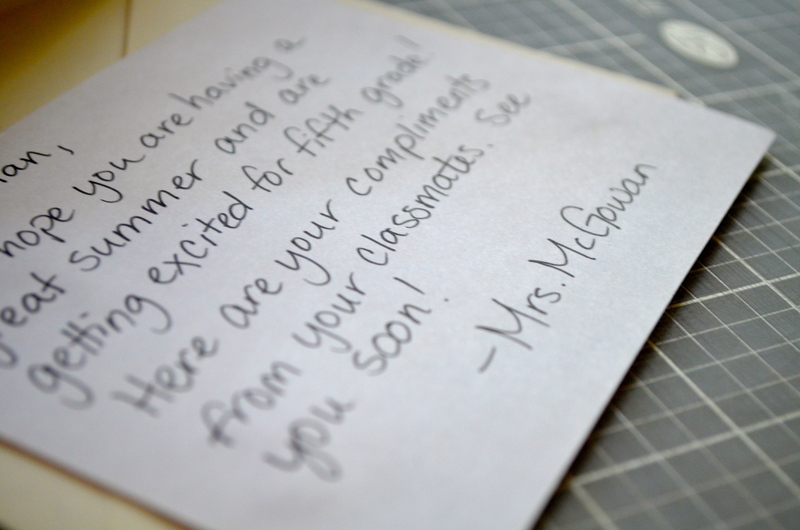 At the beginning of August, I compile these compliments to send to the students. 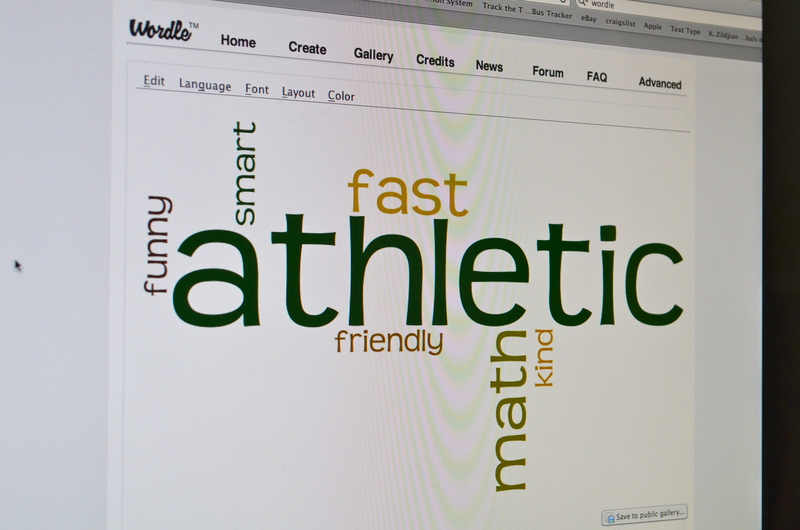 This year I decided to use Wordle to create fun tag-cloud style cards. I cut these out and glued them to scrapbooking paper in a complimentary color. On the back of the card, I wrote a quick note to each student. I told them that these would be coming, so they know what to expect. 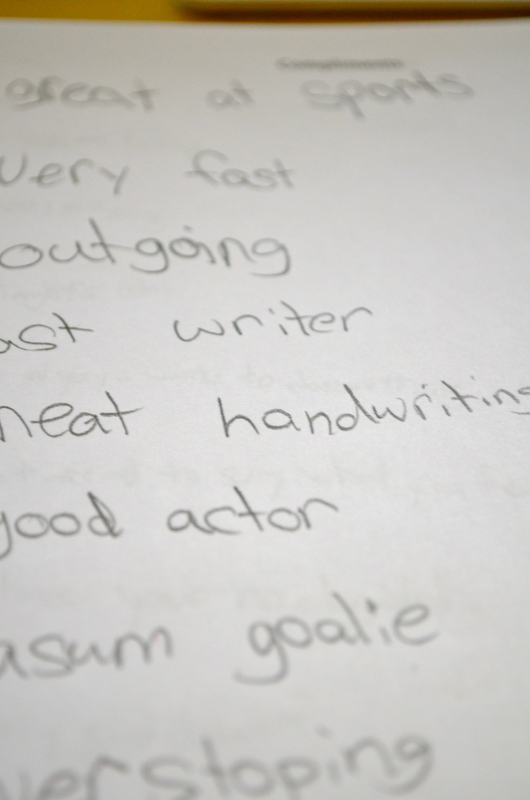 When they come back to school, many students have thanked me for these compliments. 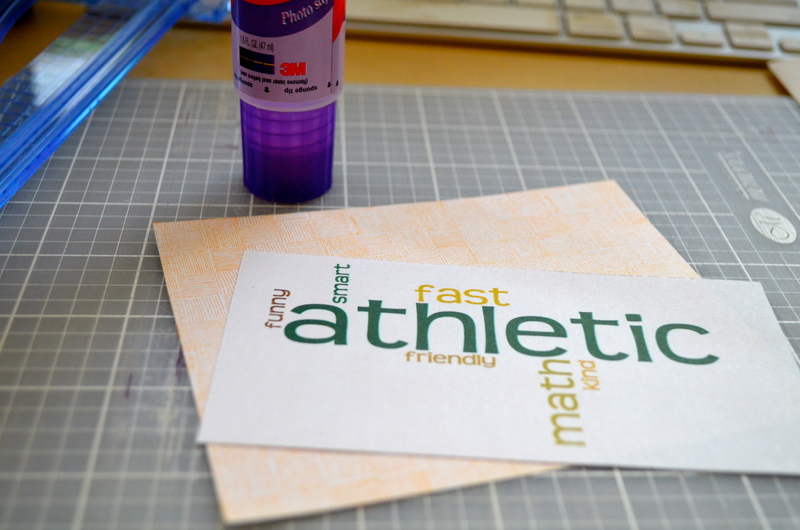 It's a fun and easy project with a nice, positive impact! Thanks, Mary, for having me guest post today! And thanks for reading! Come visit me at Oh, She Dabbles!